Can hypnosis help insomnia? 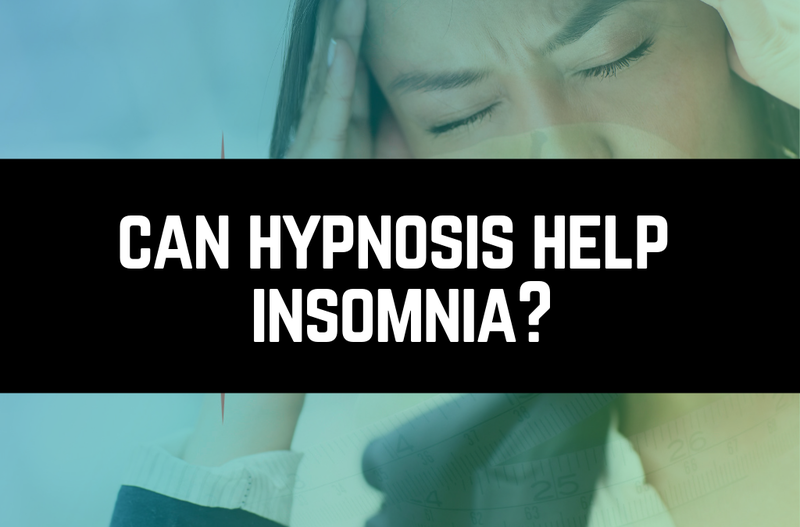 The short answer is: yes, hypnosis can help insomnia. Hypnosis can help you sleep by reframing the way you approach your sleepless nights. Allowing you to concentrate on cues that help you relax. Even more so, conditioning you to love bedtime and go about it a health and consistent manner. Insomnia is the psychiatric term for difficulty falling or staying asleep. In addition, some suffer from acute insomnia, in which this difficulty comes about as a result of stressful life circumstances. While more serious cases in which difficulties persist at least three times a week for many months. Certainly, it is referred to as chronic insomnia. Insomnia’s negative effects include fatigue, trouble concentrating, and poor performance in work or school due to lack of energy. It is very common among adults: 1 out of 3 adults report symptoms associated with insomnia, and 1out of 10 suffer from chronic insomnia. In the long term, insomnia is often caused by anxiety, depression, trauma, or chronic stress. Furthermore, in the short term, it can be brought on by worry, anger, or other day-to-day stressors. Even more so, if you don’t think your circumstances fit the clinical definition of insomnia. Any sleep disturbances you’re having could be treated with the same methods. First, if sleeping troubles are leaving you tired or making your days difficult in any way, you’ve probably considered finding help. You’re in the right place! Insomnia is commonly treated by over-the-counter sleeping pills. In addition, in more serious cases, prescription medications such as benzodiazepine hypnotics and melatonin receptor agonists. However, any patients report success with sleeping pills. Certainly, it is important to note that while melatonin supplements and the like may help you fall asleep. However, they do not promote quality sleep. Sleeping pills largely decrease the amount of REM (rapid eye movement) sleep that you receive in a night. This is the deepest point of the sleep cycle in which memories are processed and dreams occur. Nevertheless, without enough of it, you are left feeling irritable and unable to concentrate when you wake up. Additionally, like all medications intended to change neurological function, sleeping pills run a risk of addiction. First, these include relaxation training, which teaches patients to meditate. Second, progressively relax their muscles; stimulus control, which helps patient create positive mental associations with healthy sleep behaviors. Third, negative associations with unhealthy sleep behaviors; and cognitive behavioral therapy (CBT). CBT combines the patient’s positive sleep behaviors (having a consistent bedtime and wake-up time, etc.). In addition, with changes to the way they think about sleep, promoting positive thinking and eliminating sleep anxieties. Here’s what’s great about using hypnosis to help you sleep as an alternative: it incorporates all the positive aspects of non-medical treatments like CBT. Of course, with none of the negative effects of sleeping pills! For example, while sleeping pills inhibit REM sleep, hypnosis has proven to increase deep sleep by as much as 80%. Moreover, allowing patients to wake up feeling refreshed and improving their memories. When you use hypnosis to treat insomnia, how does the process work? The short answer is that it changes the way your subconscious mind approaches the issue of sleep. First, it does so when you “go under,” or enter a trance-like state. After, your hypnotherapist uses verbal cues to draw you into deep concentration. A hypnosis session that helps you sleep will likely involve lots of trigger words related to relaxation – “relax,” “let go,” “calm,” “soften,” et cetera -. In fact, it may include or end with your hypnotherapist making you fall asleep as a result of such triggers. However, the first true success of the hypnosis session comes from putting positive thoughts in your mind about your sleeping habits. Second, is your ability to act on your sleeping goals. Certainly, while you’re in the trance-like state, you will be more receptive to these positive messages than you would normally. Thus, you will leave feeling more optimistic and motivated to develop your ideal sleep habits. 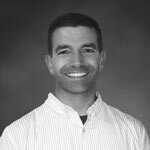 Your hypnotherapist learns about your personal sleeping issues and the thoughts that are holding you back. Certainly, we will be able to gear your session to you. In addition, to target the thoughts that are hindering you most and replace them with new ones that are the most important for you to hear. Along with changing your cognition about sleeping, your hypnosis session to treat insomnia will work towards changing your sleeping behaviors in the long term. This is how the behaviors you know are healthy will gradually become your habits: hypnosis will make them feel like second nature. While you are being hypnotized, your hypnotherapist will reinforce the importance of things like set bedtimes and wake up times. As well as, avoiding electronics before bed, practicing muscle relaxation and mindfulness while falling asleep. Even more so, whatever behaviors you know are most important for you. Because it is meant to change 1) your thoughts and 2) your behaviors. Therefore, hypnosis has all the positive potential of cognitive behavioral therapy, but with extra impact: it targets your subconscious directly. If you not seen meaningful results and tried CBT or other non-medical insomnia treatments, hypnosis is an alternative. In addition, it goes deeper than regular therapist meetings. You leave after not just being “talked to,” but cognitively changed for the better. It is important to note how hypnosis can help the sleep behaviors of school-age children specifically. No sleeping pills are currently FDA approved for children, which rules out a large body of potential treatments. However, hypnosis has proven to reduce sleep onset time for 90% of children it is used on. Furthermore, over half of children who have trouble sleeping soundly through the night see their awakenings greatly lessen. With hypnosis, your restless child can be spared from clinical, impersonal treatments. Instead, having positive cognitive experience positive changes with messages tailored to his or her needs. There are countless benefits using hypnosis to treat insomnia. Second, it is a relaxing experience, it is 100% natural, safe, and has ZERO negative side effects (unlike leading sleeping pills). Generally, it can be tailored to accommodate your needs, and it promotes deep sleep that leaves you feeling the most refreshed. Best of all, its entire premise is improving the way that you think about your journey towards healthy sleep behaviors. Your willpower, optimism, and impulses will all start to work in your favor. In addition, if you have tried other insomnia treatments and not seen results, look at hypnosis as not just a “last-ditch effort,”. But a means of using the power of your own mind to better your lifestyle. Finally, as long as you stay open and trust the process, you will certainly surprise yourself! If you want to learn more about using hypnosis to help you sleep, contact us through our website. We can also be reached via email at info@NEhypnosis.com.